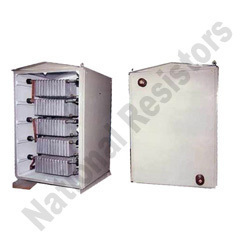 Owing to our years of industry experience, we have carved out an outstanding position as the foremost manufacturer, exporter and supplier of wide range of Cast Iron Grid Type Ngr, used for high currents to pass in resistors n short period of time. It is a large convection-cooled web structure of metal alloy belts connected in rows between two electrodes, having high thermal time constant permits. Our product is heat resistant and has anti-corrosive coating. To avoid damage through sparking we process it with good ground finishing contact surfaces for improved contact between grids. Cast Iron Grid Type Ngr have good temperature resistance that is 0.05% per oC approx. for cast iron.